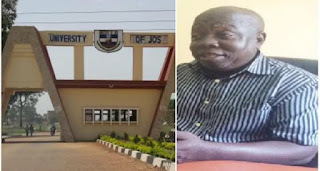 A professor of law at the University of Jos, Olayiwola Oyelami, shared his touching story how he was messenger and later became a professor in same university. The professor recounted during his struggle days, during his interview with The Nation Newspaper, where he said, how he use his primary school leaving certificate to get a job as messenger in the university of Jos. The professor remember when he had to confronted Professor Michael Adekunle about his situation then. He recalled: “He told me point blank, ‘young man, you are too young for this job, why don’t you find something else to do.' The Prof told me to go and read, that sitting for GCE exams is not difficult. I asked myself where do I start? I then went back to the same Prof and I asked him to help me get the job of a driver. He told me there was no difference between the messenger I’m doing and driving. “I was just a primary school leaver, I did not even attend the conventional secondary school because my parents could not just afford to take me to secondary school then. I only attended primary school because that level of education was free in the West, but secondary school was not free. If the primary school were not free, I would not have even gone to school at all, even to buy school uniform was not possible for my parents. At my final year in primary school, I was wearing my father’s caftan to school, they could not get me the school uniform. So I was one of the beneficiaries of free education of the Western Region then." Prof. Oyelami said he was promoted to a clerical assistant instead of messenger grade 3, add-more the school management stated that anyone who don't further his/her educational qualification will remain a clerical assistant to retirement. According to him, after he was a graduated from same university getting a job was difficult, one of the Librarian advised him to go for a master degree in Library studies. He added: "It was to last for one year and I was promised that when I come back he would give me a job. I ran to Ibadan do my second degree in library studies and in a record of one year I graduated and ran back to Jos for the promised job. But the same man that promised me the job said I have to wait a while.